Women have been welcome in Pai Lum since the early days, and have reached the highest levels in the Art. Women of every age train in Pai Lum,, and are treated simply as students (and Instructors as appropriate). Obviously, attention is paid to relative size, and to experience, as with all students. It is pertinent to remember that larger people tend to have more reach and absolute power - but that smaller people tend to move faster. Women Warriors are trained to be mentally flexible and precise with their fighting strategy, and are encouraged to apply sometimes quite vicious attacks to vulnerable areas. It is important that men learn to treat women as equals in class (and outside as well of course) - and that women are comfortable working out and training hard with men as well as with each other. An unfortunate fact in our society, is that aggression happens, that most aggressors are male, and many attack women and girls. We train our Women warriors to deal with any situation, and if necessary, with any attacker. Women Warriors - in the front row! Every Black Belt in the Fire Dragon Club has earned their rank - with mental and physical toughness. The fact that there are women among the Black Belt ranks shows that there are no barriers in Pai Lum. Sifu Jayne Hardy; Sifu Ingrid Bean and Sifu Elinor Jean have all learned much - including about their own capacities - and all have much to teach. And a woman's perspective on the Art helps make it complete - remember, there is male in the female, and female in the male. Understanding this is part of being whole, and in harmony understanding yourself. 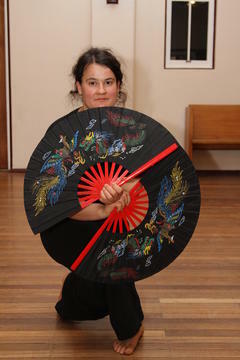 Self defence is foremost among the skills taught in Pai Lum Kung Fu, though in general class, it is balanced with coordination, meditation, Chi Gung, basic techniques and forms. For some, an understanding of self defence is of prime importance, and Fire Dragon offers Womens' Self Defence courses to interested groups. It is of course, wise to understand that self defence incorporates many aspects, including self confidence - if you like - the hidden benefits of learning. Learning exactly how to cause physiological disruption! this element in orchestra with our training. 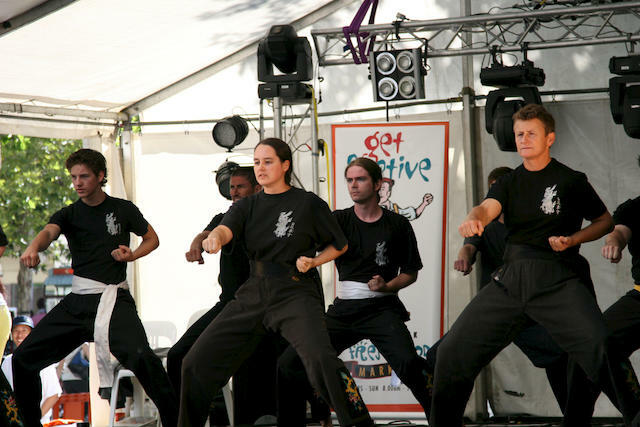 Isn’t it wonderful that Pai Lum can supply us with not just a healthy body and mind, but with a high level of self-defence ability as well. This article will step away from pure Pai Lum technique and deal with some common-sense strategies for defence of oneself. after opening the door. Lock the door as soon as you get into your vehicle. to your home if you suspect you are being followed….call 000 and head to the nearest police station. seems as if there is someone on premise who should not be there, don’t go out to check it out yourself. Leave! 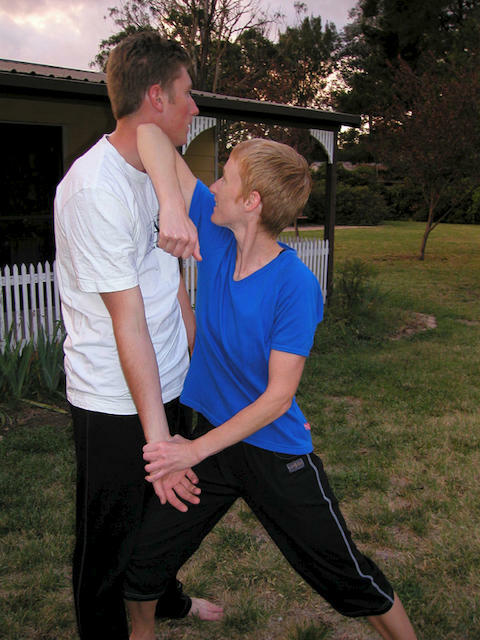 The techniques I teach in my women’s self-defence courses are designed to interrupt vision, breathing or to cause pain….not to kill. They are designed as defence to disrupt attack and allow time to flee. Primary Targets in the event you should need to protect yourself. Shr Fu Elinor Jean is now conducting specialised courses in Self Defence for Women, in Canberra and surrounding towns. Highly experienced and capable, Shr Fu Jean will tailor her classes to her students' needs. Contact Shr Fu Jean on , or 0411 897 168.